Wheat poli is a traditional Maharashtrian recipe, its so tasty and filling too. 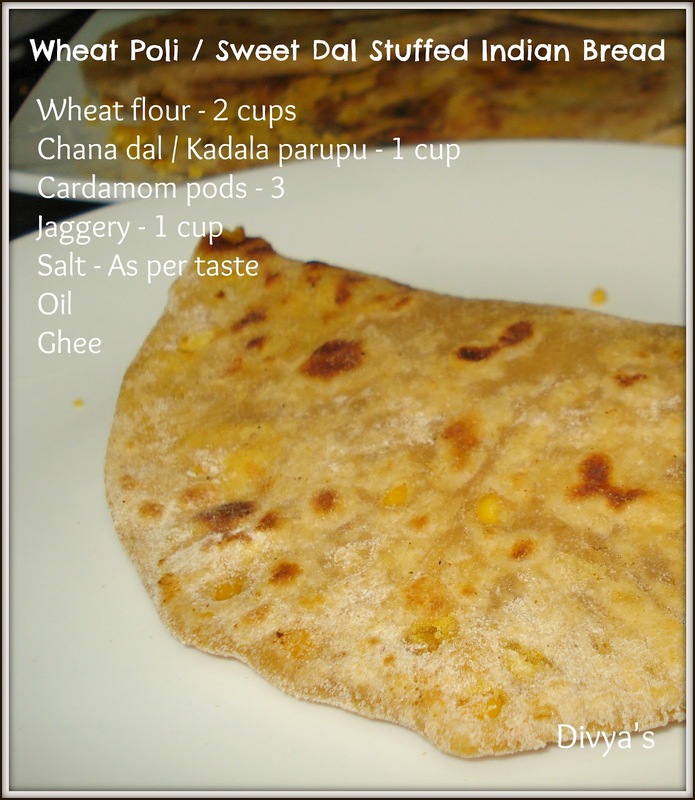 Usually I replace the wheat flour with all purpose flour/Maida it is more tasty and softer. 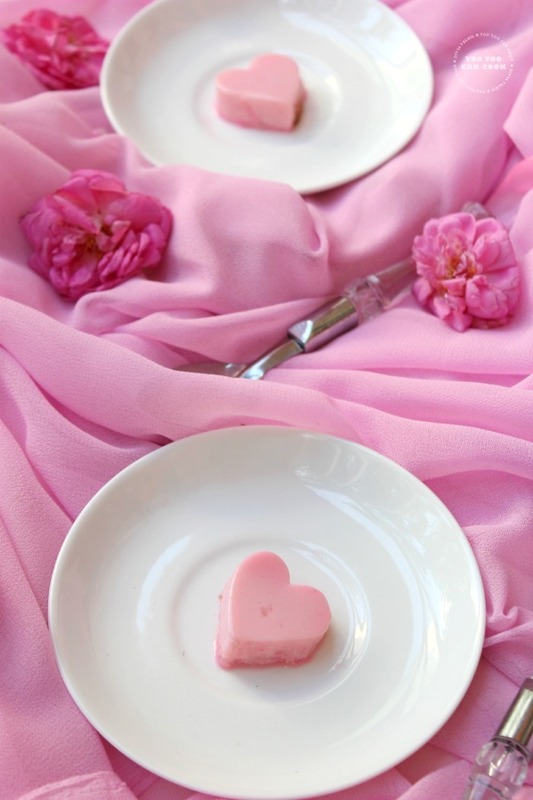 You can use any one of the flour to make this recipe. 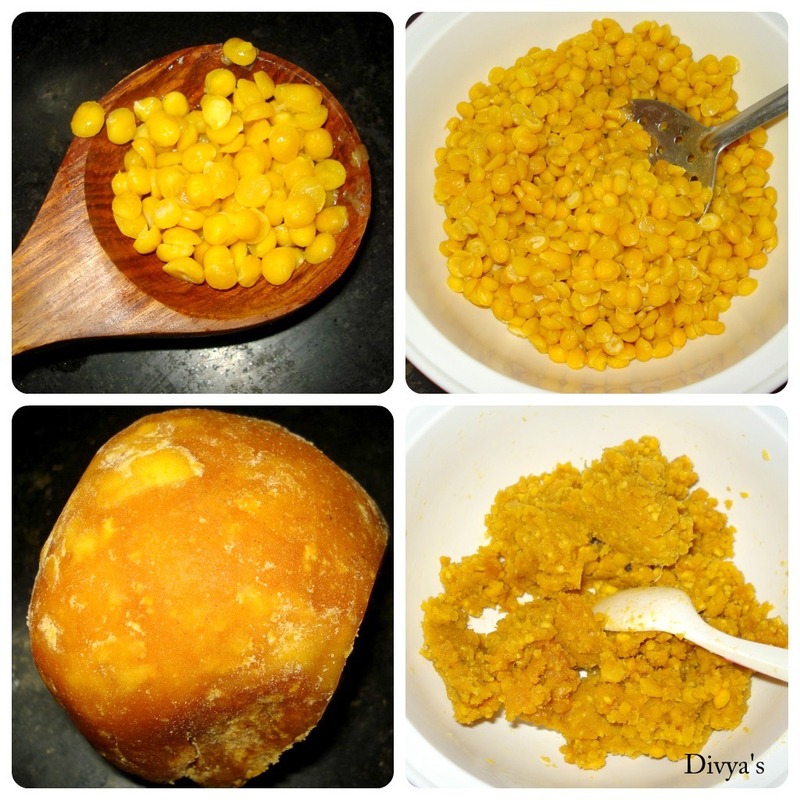 The simple dal stuffing makes it so yummy and kids will enjoy it too. 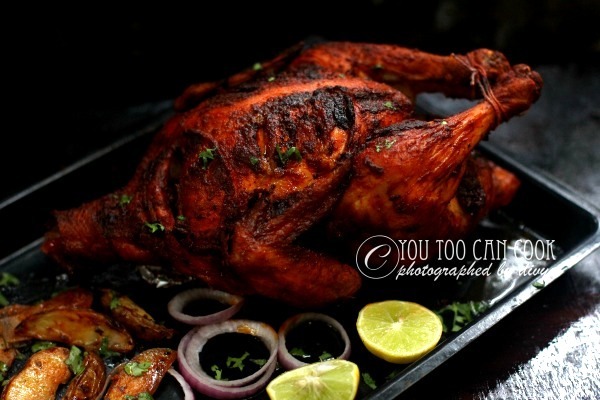 So lets see the required ingredients and how to prepare it. Combine wheat flour, oil, warm water and salt knead well to make a smooth dough and set aside for 30 minutes for the dough to become soft enough. Meanwhile, add dal, 2 cups of water and a pinch of salt in a pressure cooker and pressure cook for 10 minutes. Remove excess water and set aside till it cools down. Grind the following into a coarse mixture and set aside; Cooked dal + A pinch of salt + Cardamom pods + Jaggery. Do not add even a drop of water. 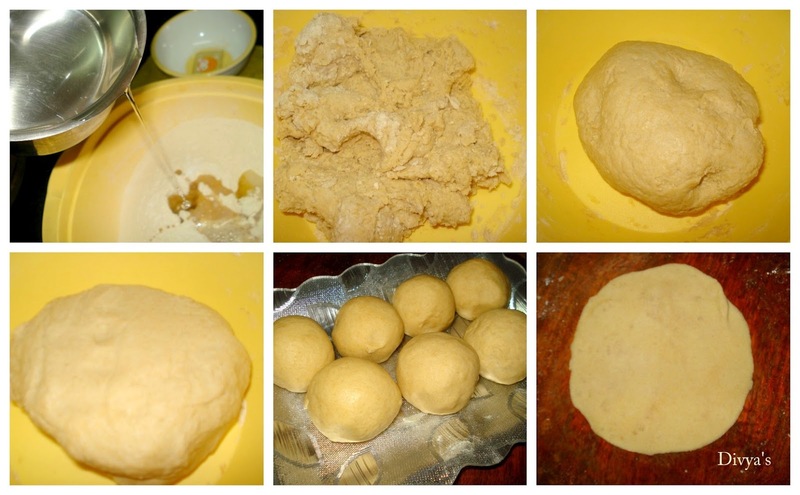 Now divide the dough into large lemon sized balls and roll it into heavy chapathis. Take one chapathi and add 2 spoons of dal mixture in the middle and close the chapathi as shown in the figure and roll again into heavy chapathis. Repeat the same for other chapathis too. Heat tawa and roast the polis till brown spots appears on the both sides. Remove from flame apply ghee on both sides and serve. TIP 1: Remove excess water from the cooked dal. Also while making the dal filling do not add too much of water. 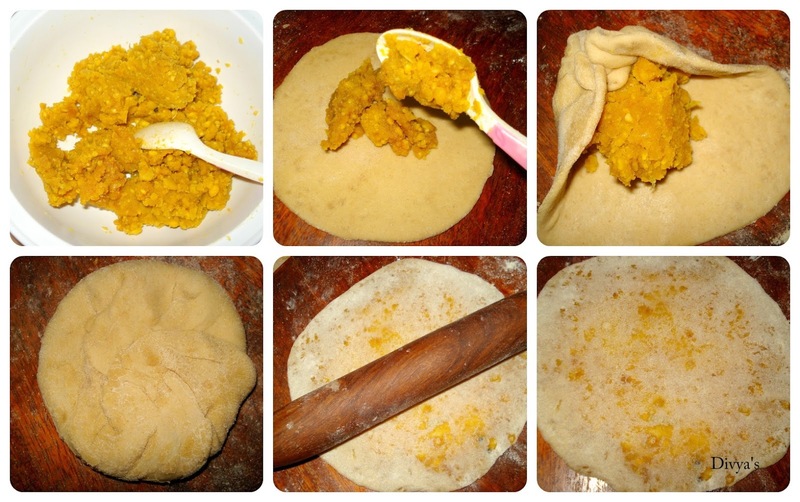 TIP 2: Do not stuff too much of dal mixture into the chapathi. TIP 3: Chapathis should be heavy enough to bear the dal filling/stuffing. TIP 4: If you don't like cardamom flavor you can avoid adding cardamom pods. TIP 5: Use all purpose flour instead of wheat flour for tastier and softer poli. 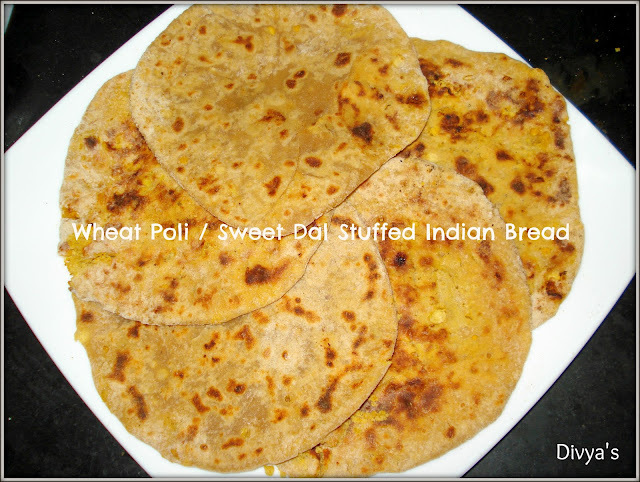 Delicious and filling Wheat Poli now ready!! 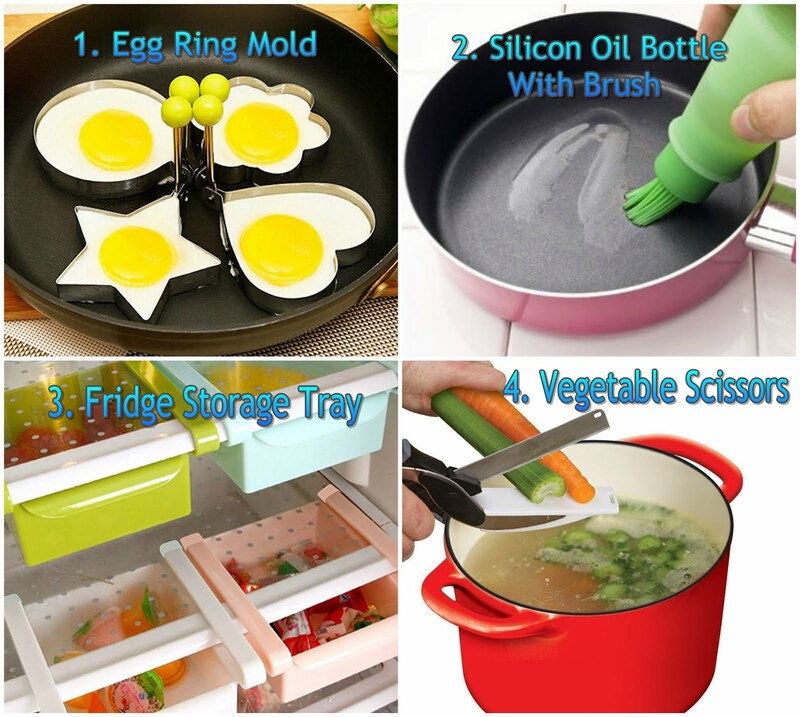 Serve after meals or during snack time!! Puran Poli is my hubby's fav. 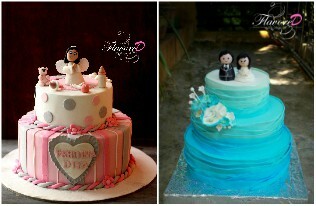 looks yummy Divya. 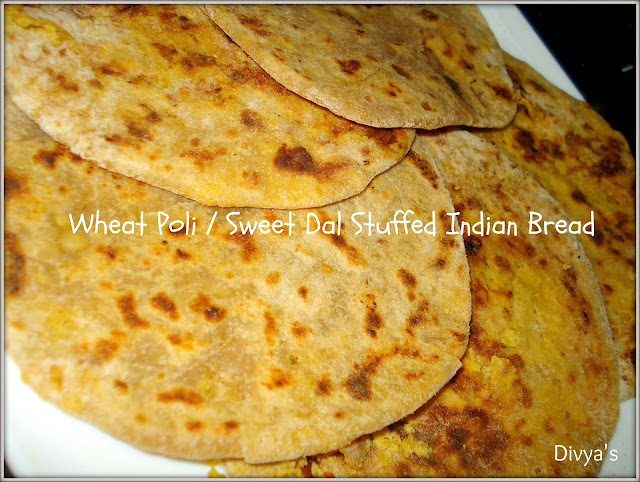 I love puran poli..never knew we can make it with wheat flour too. Nice and yummy puran pori. 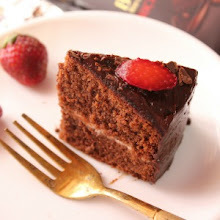 Wat a healthy twist to the usual poli..fabulous. This is a favourite. And well-made. I love puran poli..looks so tempting! My sis is a big fan of puran poli :) yours have come perfect!! 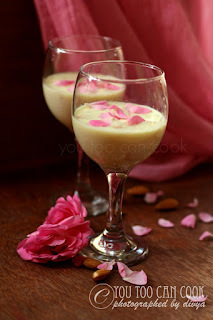 my favorite poli.... looks too yummy!!! wow ma favourite one.. mouthwatering poli.. I dont know it, but this looks like a pancake, should be good.